Using dental implants is very common in dentistry. Inserting them is a routine work and 90% of them are successful. Thank to the various types of implants, almost everyone can have them. In which cases are they recommended? What are the contra-indications? A dental implant is an artificial root inserted in the jawbone for the purpose of tooth replacement and is made of biomaterial (mostly titanium). 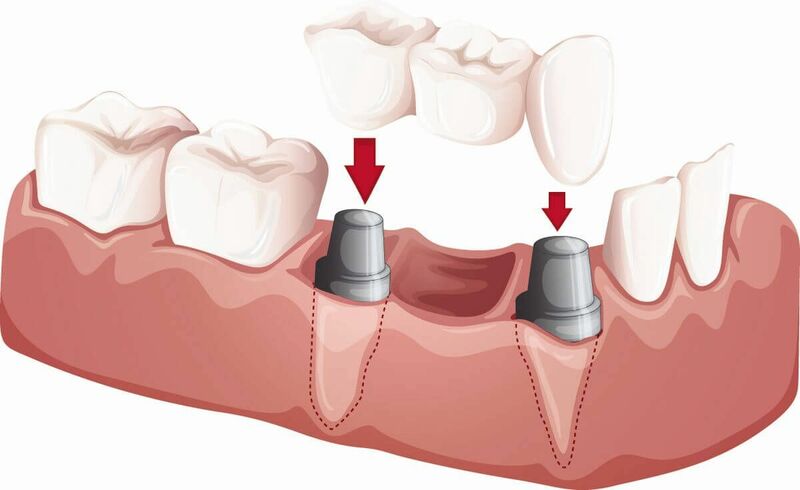 Dental implants are for the purpose of tooth replacement. As we have already mentioned almost everyone can have them as a solution for tooth replacement. It is not only a long term solution but it is aesthetical too. When only 1-2 teeth are missing through one line replacing them with implants is a good solution. The other solution is a dental bridge but the neighbouring teeth have to be filed down (these will be the foundation for the bridge) and a lot of patients do not wish to have this option because of this. Implantation in these gaps will result in balanced chewing ability. Bridge and implants are a good combination. If there are more missing teeth next to one another implantation is not necessary in all the gaps. Only a few implants and a bridge are needed. Implantation is also a good solution if the missing teeth are in the end or else the only solution is the removable teeth. In addition, the removable teeth have to be placed to the other sides well so that the bite will be balanced. This can be avoided by implantation. If a complete set of teeth is missing implantation is the perfect solution. There is no need for implants in all the gaps. Generally speaking, 6-8 implants (if the jaw is bigger: 8-10 implants) are enough for a stable foundation to a whole set of teeth. When it is not recommended? Generally speaking, implantation is not recommended if the general medical state of the patients would affect the implantation in a negative way or the way around. 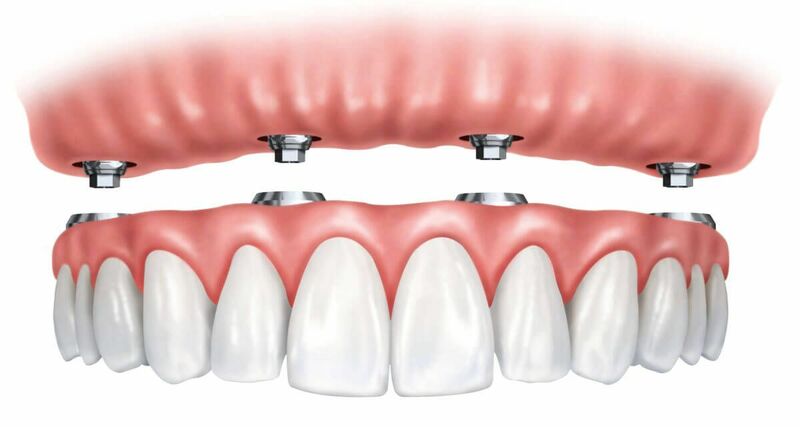 Are implants suitable for you in your dental situation? Find out more about the treatment, or contact us now!